Clients who have worked with our law office know that we take every measure possible to protect their rights. We are an accessible team, which means we are available to immediately respond people’s questions and address their concerns. As advocates, we recognize that our role is to fight for our clients’ best interests. We have the experience to do just that in any setting, be it in a courtroom or around a negotiating table. For many of our clients, settling a dispute quickly is often a top priority. That is why we give people practical advice. Our team uses innovative thinking to develop strategies that are catered to each client’s particular circumstances. 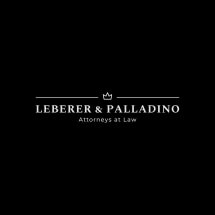 Jamie G. Leberer takes cases throughout western New York, including in Erie and Niagara counties, as well as in Niagara Falls, Batavia, Cheektowaga, Depew, Elma, North Tonawanda, Eden, East Aurora, Getzville, Amherst, Alden, Akron, Grand Island, Lancaster, Snyder, Hamburg, Kenmore, Lackawanna, Lewiston, Orchard Park, Pendleton, Tonawanda, Williamsville, West Seneca, Clarence and Lockport. Our law office offers free initial consultations and accepts credit cards.